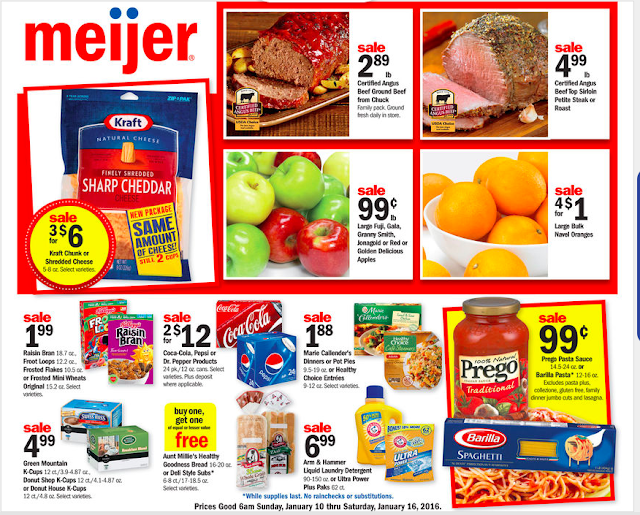 Meijer: Ad Preview Starting 1/10! KEEP CHECKING BACK FOR SOME HOT MUST DO DEALS! This week Kraft shred and chunk cheese are on sale for $2 each! There are some coupons out there that can be used AND there is a catalina printing! The catalina is buy 3 get $1.50, buy 4 get $2 and buy 5 + get $2.50.